MUMBAI: American singer Nick Jonas is among the "favourite men" of Bollywood actress Priyanka Chopra, who has been partying hard and holidaying with him, some friends and family members in Goa. Priyanka shared an Instagram story, which had a photograph featuring her brother Siddharth (Chopra) and Jonas as they look at the infinite sea with their back facing the camera. "My favourite men," Priyanka captioned the photograph. 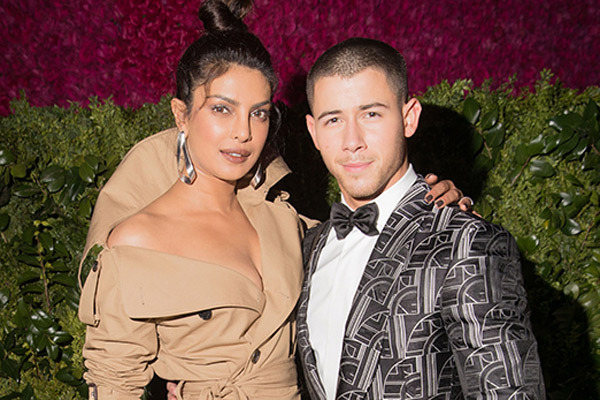 Priyanka, 35, and Jonas, 25, landed together in Mumbai last week, fuelling speculation about their relationship, which none of them has confirmed. International media has been reporting that the "pair" is currently visiting Priyanka's mother, as the actress wanted Jonas to meet her. In Goa, Priyanka's cousin and actress Parineeti Chopra also joined the vacation mood as the two sisters sang and danced to the number Tip Tip Barsa Pani. Priyanka and Jonas had made heads turn when they walked at the red carpet of the 2017 Met Gala in New York together. Earlier this year, they were seen roaming around on a boat with friends over America's Memorial Day weekend, and Priyanka was also photographed cuddling up to him in a group photograph while they attended a Dodgers baseball game in New York together in May. MUMBAI: Rock star Bruce Springsteen's Western Stars, his first new studio album in five years, will be out on 14 June 2019.The album was recorded primarily at Springsteen's home studio in New Jersey, with additional recording in California and New York.